Your deck’s wheelbase is one of its most important dimensions. It’s the key number that dictates how the deck will skate. We recommend that if you’re starting out with sliding and downhill, it’s better to go for a longer wheelbase. You’ll have less grip, but you’ll find learning to drift and control grip much easier. You’ll also appreciate the confidence that the extra stability gives you. 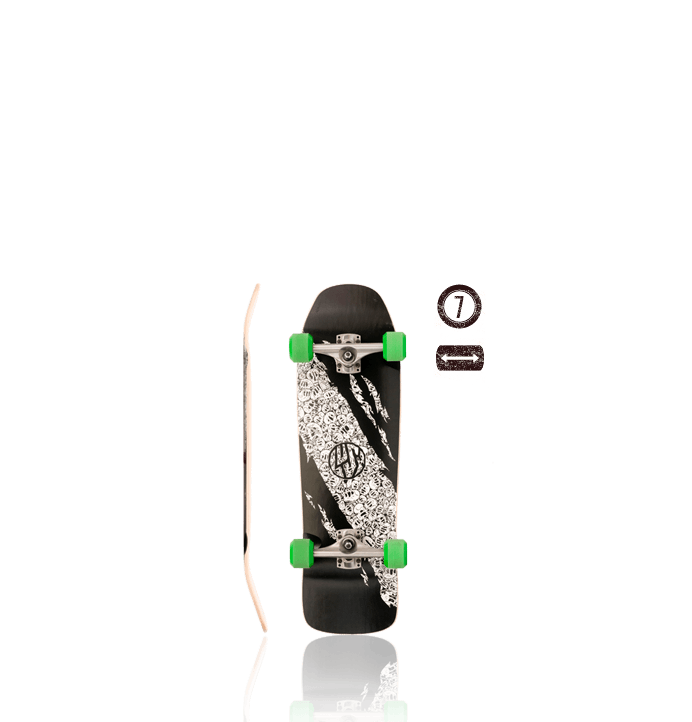 More advanced skaters will sometimes prefer a shorter wheelbase for downhill and freeride, as it makes more technical moves easier, has more grip, and is more responsive. We’ve watched longboard wheelbases get shorter and shorter over the last ten years, but there are still very few people skating really fast on sub-25″ wheelbases. It’s a personal choice… choose wisely! 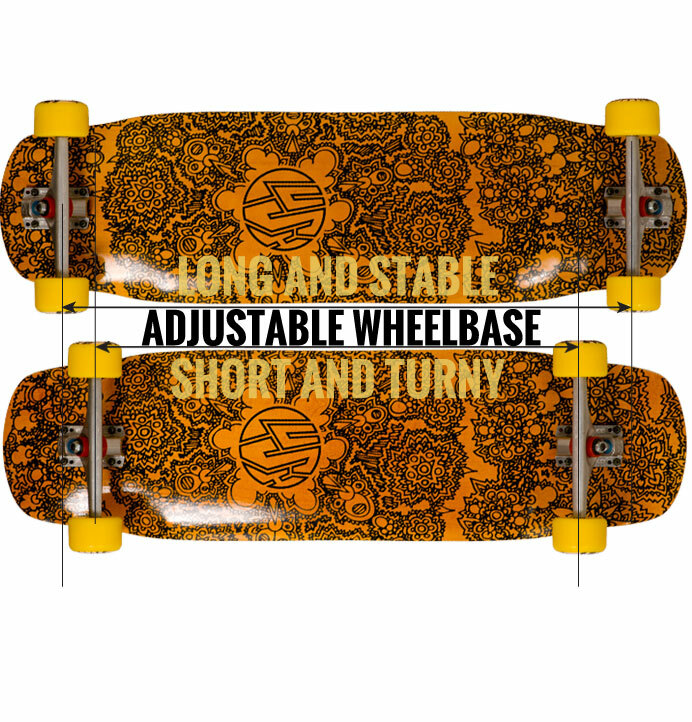 Many longboard manufacturers have adjustable wheelbases drilled into their decks now. But very few take it to the level that we do! 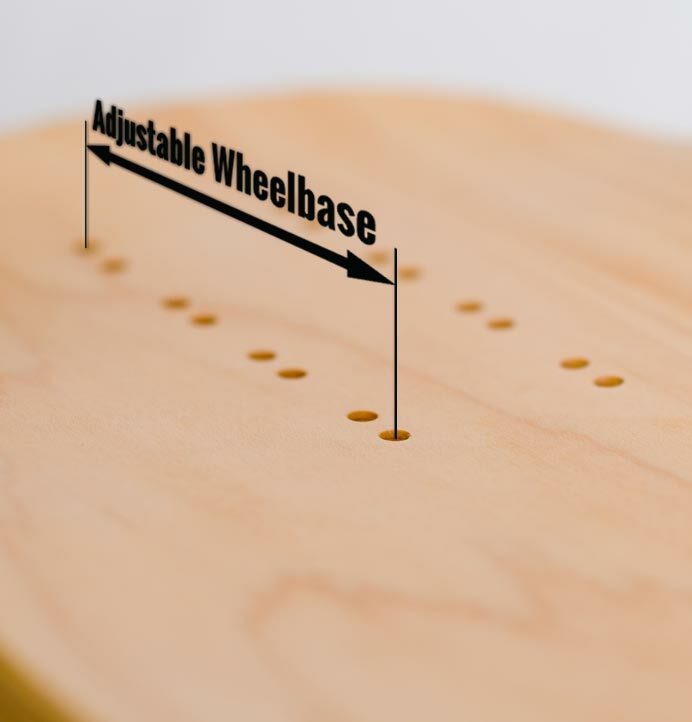 On several of our decks there is so much adjustability that you can effectively have two decks for the price of one. Symmetrical, with a nose and tail, and a super-short responsive wheelbase, ideal for mixing spins, airs and flips into a slide run.